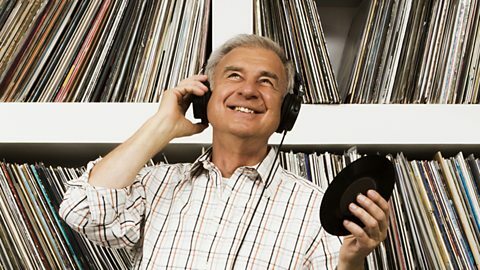 BBC Radio 3 - The Listening Service - Why do we call it 'classical' music? Classical music is the thing that orchestras do. It’s what string quartets play and choirs sing. It’s playing all the time on BBC Radio 3, and it’s on that Mindful Classical Mix you’ve just downloaded from BBC Sounds. But as the BBC embarks on a year of programming around Our Classical Century, Tom Service explores one very simple question: what IS classical music? Here’s the thing: I don’t think there really is such a thing as classical music. For someone who’s spent most of the last couple of decades writing and talking about classical music, that might seem a trifle idiotic. But even the composers who most define the “classical” (let’s go with Bach, Beethoven, and Mozart) didn’t know they were writing classical music, because the term simply didn’t exist in their lifetimes. It seems bizarre, but it’s true. The values and hierarchies and canons and the whole category of the “classical” only started to appear in English in 1829. Why? One explanation could be that “classicising” things was part of a great 19th-Century marketing exercise. The term “classical” started to gain traction in European culture just at the moment when the music industry was heating up – as orchestras were being established, concert halls constructed, music instruments manufactured and there was a boom in music publishing. It makes sense. If you’re going to have an industry, you’d better have something to sell. Composers were marketed as purveyors of the “classical”; it was a way of telling 19th-Century consumers that, by playing and listening to Haydn, Brahms, and Mendelssohn, they could become better people. They, too, could become someone who knew and loved the great truths of the “classical”. Tom Service recalls a time when the "classical" section was sealed behind frosted glass. So why the word 'classical'? It’s a word that conjures up images of the Ancient world: the culture of balance, perfection and social harmony that the Greeks and Romans supposedly enjoyed. But that image doesn’t conform at all to the reality of those societies, as any historian of the period knows (or anyone who’s watched I, Claudius or Up Pompeii!, for that matter). The yearning to return to a time of order, of social and artistic equilibrium in the “classical”, is simply an aesthete’s version of “the good old days”. That was true in the 18th Century, when intellectuals and artists hearkened back to an Ancient Greece that existed only in their imaginations – and it’s true of us today, whenever we apply the labels “classical” or “classic” to repertoires and recordings of the past. And it’s not only classical music that’s doing this, by the way: jazz, rock, folk and all the rest are now full of “classics”. The word “classic” has become an expression of value. We use it to indicate our opinion that something will stand the test of time. So from the very start, “classical music” has been an expression of nostalgia and one-upmanship, rather than anything tangible. I think that all of classical music’s unhelpful associations with economic, social and aesthetic exclusivity stem from this historical quirk. I’ll say it again: most of the composers we now call “classical” didn’t think that’s what they were. Beethoven, Berlioz, Mahler and Wagner didn’t want their works to be part of a mausoleum of the “classical”, sequestered from the world in the way that the “classical” section of the record shop used to be hidden behind frosted panes of glass. No: their music was made to exist in dialogue with the joys and messes of the real world, which is where it should still be today. And it is. The point of Our Classical Century is that this music really is part of our lives. In recent years, something has changed. Unlike so many other genres, “classical” now encompasses a truly vast range of music. Its repertoire includes music written over the last millennium and more. It’s precisely this lack of definition that means that “classical” can take in the music of everyone from the 12th-Century musical mystic Hildegard of Bingen to the 21st-Century composer Anna Meredith, who composed music for the First Night of the Proms in 2018. Classical music is here on the soundtracks of our video games and TV shows. It’s sampled across the spectrum of pop music. It’s a style and a genre which can take in gigantic operas and tiny fragments. I’m no closer to a definition. But while I still think there’s a huge job to do to rid classical of its associations of exclusivity, it’s precisely in this all-encompassing confusion that the term “classical music” will survive – and, despite my entreaties, thrive. Whatever Our Classical Century shows, it’s a revelation of the essential truth that we’re all classical now. Tom Service explores a multitude of definitions of "classical" music in The Listening Service, with help from the composer Max Richter and writer Charlotte Higgins. Meanwhile, the BBC's Our Classical Century season gets underway with a host of TV and radio features devoted to an eventful 100 years in music. The Listening Service joins forces with composer Max Richter and writer Charlotte Higgins to try and find an answer. Find out more about this season celebrating 1920-2018's most memorable musical moments. Lenny Henry and Suzy Klein explore the impact of WWI on a generation of composers whose music became part of our identity. What do birds, crocodiles and the Backstreet Boys have in common?